This Louis Vuitton display was installed in Paris and designed by Lacey Photography represented by the CLM Agency. 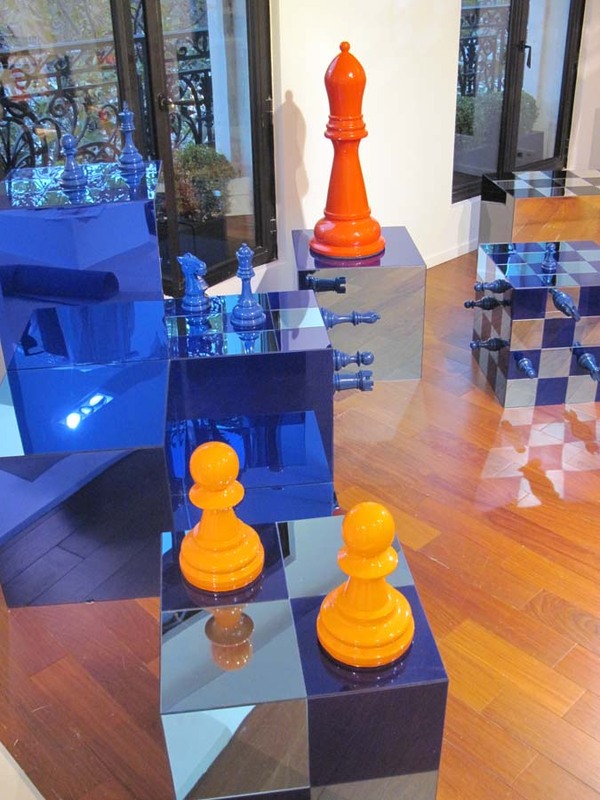 We produced the bespoke handbag display using mirror acrylic, MDF and large chess pieces. 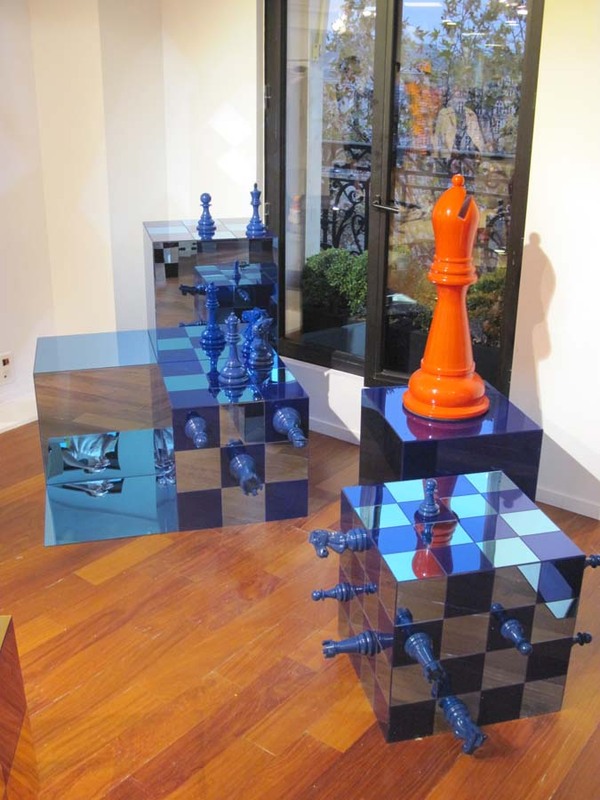 To capture the fluorescent colours specified in the brief, we re-sprayed large chess pieces and clad MDF boxes in mirrored acrylic checkerboard patterns using various colourways. 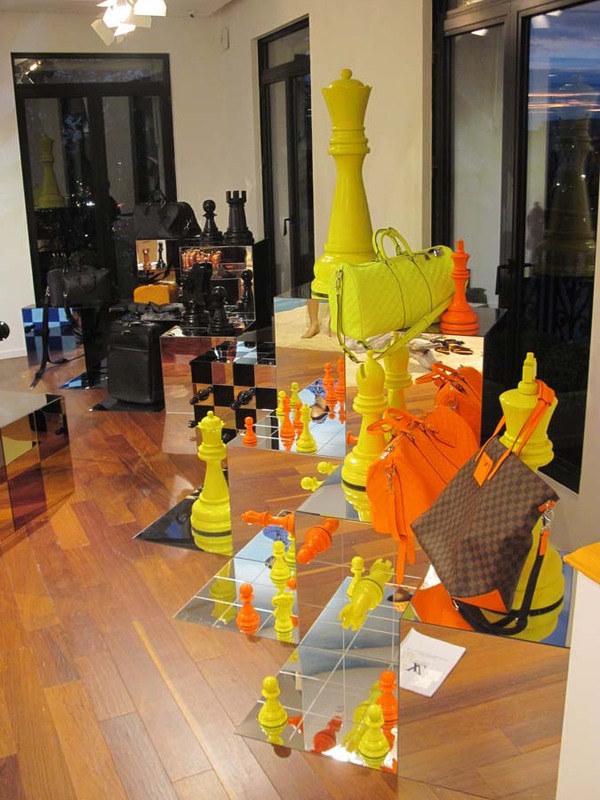 The result was an eye-catching chess set display with a vibrant burst of colour, successfully showcasing the handbag collection.